Hey guys, today I’m back again to present you an interesting topic today. 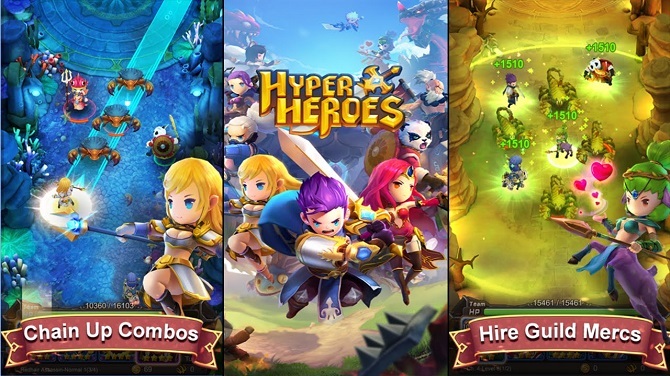 Do you know Hyper Heroes game? Yeah, this slingshot game really interesting to play. I’m also getting addicted to playing this game. Right now, I want to share you about Hyper Heroes best team. I will tell you the best unit that you can easily get and perfectly fit your team playstyle. Without further ado, just check out the list below. Below is my recommendation of my team arrangement. I think it’s quite effective to beat all the enemies. And you can get these units easily. 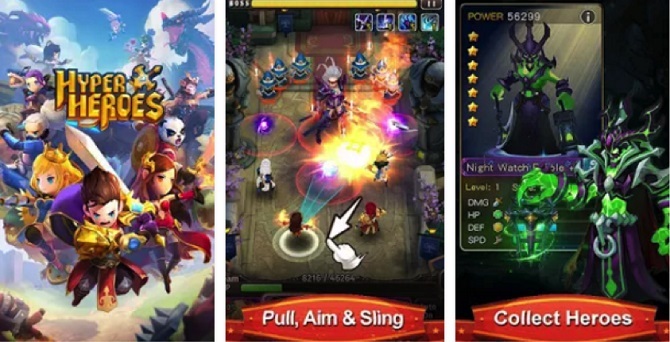 Lady Ray: The mage class unit sure will help you in this kind of game. She is the bounce style hero, so she can bounce again and again to surround the field. Her damage is quite deadly, I’m sure. Her defense also quite though. Below it’s the skill list of this woman. Divine Light: This is her unique skill. It will deal the tremendous amount of damage straightly from her position. It’s really useful if you want to aim the weak point of the boss. And thanks to the long reach of this skill, you can easily get it. Orb Glitz: The combo skill of Lady Ray. It occurs when the others hero touches her. She will send three bouncing orbs to the arena and attack the enemies. This is also the good AOE (area of effect) attack. Singularity: Lady Ray will summon light orb and when the opponents touch it will explode and deal the devastating damage. Slashy Bushi: This is your main attacker in your unit. One of the warrior class that you should get at all cost. His status’s decent. I’m really amazed at the speed of this unit. So, he will quickly take many turns in one go. Pay attention to the skill below. Whirlwind: This skill only targets one enemy. But, it’s really deadly. So, you must target the boss class only enemy to take the full damage of this skill rather than on the normal enemy. Tempest: This is the combo skill of that can attack three enemies in one go. Just use this skill to deal with the weakest characters. Slash Wind: You need to take advantage of this skill. Because it can deal the tremendous amount of damage to all your opponents within the area of effect. Flame Dance: Another mage users. The second best attacker after Slashy Bushi. Also, this woman can deal a lot of damage to all opponents. Because her skill range is really wide compared to another character. Below is the skill list of Flame Dance. Ablaze: You will summon a meteor that deals the damage to all opponents. I recommend you to increase this skill level to the max to take the amazing effects from it. The Phoenix: It will summon the Phoenix that deals fire damage to another weapon within the area. It’s not really great, you can ignore this skill. Eruption: This is quite useful skill. Why? because it can reach opponents from far away and the damage itself it’s really great. Lady Aegis: Last but not least is the tank class hero. This is your true tanker in this game. Can you see the defense parameter of Lady Aegis? It’s reached the full bar. There is no others unit like her. That’s why you need to include her in your team for sure. Pay attention to what she can do below. Solar Flare: With her unique skill, It can stun the enemy within her reach. But, the damage it’s not that great. Do you think you can stun the boss? Of course not, boss opponets have higher resistance than the normal enemies. Shield Break: This is the combo skill. With this skill, Lady Aegis can attack three times. But, it’s really weak, just ignore this skill. Glory Shield: this one is not the physical type attack, but the magic attack. Also, it will increase Lady Aegis magic resistance for three turns. That’s Hyper Heroes best team that I want to tell you. Do you have another suggestions? If so, you can leave it in the comment box below. Also, I’m sorry if your Favorite Hyper Heroes unit not included in my list. Okay guys, that’s the end of my article about Hyper Heroes game. See you all again next time.